My latest, "Where Are You Now Campus Radical?" profile looks at Daphne Lawless. Lawless studied literature at Victoria University in the early 00s. She was secretary of the Vic branch of UNIQ (the campus based radical gay group) in '00/01. Her leftist political activity began in 1989 when as a 15 year old she joined Jim Anderton's New Labour Party. In 2002, Lawless took the plunge and joined a real Marxist-Leninist organisation, Socialist Worker. In 2003 she was elected to the Central Committee of Socialist Worker, a position she still holds. Lawless also earned a Phd for a Marxist-feminist theses on early NZ women's popular fiction. In 2004 she was a co-founder of Vic Uni's Campus Left, a coalition of Socialist Worker and remnants of the near extinct Alliance Party. Concurrently with her campus activities Lawless was active in the Association of University Staff and in developing a career as a singer-songwriter. Lawless became co-editor of Socialist Worker Monthly Review in 2004 with Christchurch based activist, David Colyer. She has been co-editor, with Grant Morgan, of Unity, the Socialist Worker's "Marxist journal for all grassroots activists" since its launch in 2005. In July 2005 Lawless joined the Steering Committee of the Socialist Worker/Matt McCarten inspired, Workers Charter Movement. She co-chaired the founding conference with former Maoist activist, Luke Coxon. The organisation serves as the nucleus for a new leftist political party, presumably to be launched before the 2008 General Election. 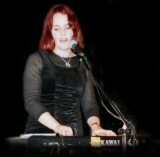 In 2006, Daphne Lawless moved to Auckland to further both her musical and Marxist-Leninist careers.